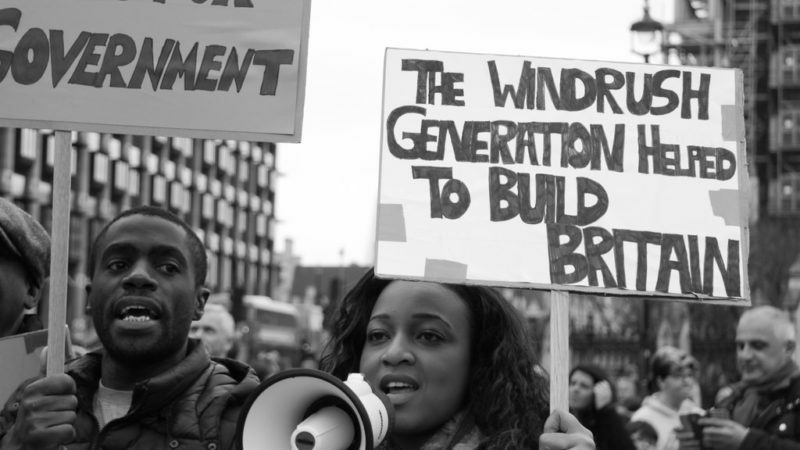 Pic: A protest against the deportation of members of the Windrush generation. In a capitalist society, there will always be winners and losers. It is up to governments to mitigate the effects of the system. The social contract is a binding agreement between a people and their government. It instructs us to hand our liberty and will to the government – in return of which our life and property will be protected. And it is falling apart. Though we vote in a new government every four years, the unequal share of power in this country means there must be other ways of balancing the scales. The credit crunch that started a decade ago wrecked the housing market and paved the way for the era of austerity. The shambolic attempt of Universal Credit to reform the welfare state has left the sick sicker, and low income families having even less. Our young people have concluded that being socially mobile is a thing of the past. Social housing tenants have lived and died in homes with combustible structures. Our hardworking nurses and doctors have routinely had to strike against low pay and high work load. Families have had to rely on the generosity of everyday people, in the form of food and baby banks just to get by. Perhaps the worst way in which our governments have failed to uphold their end of the social contract agreement has been this: letting racism, fascism, xenophobia and outright disdain for anyone who isn’t white make its way into the mainstream of British life. In return for moulding our great National Health Service, UK citizens of the Windrush generation have either been wrongly deported, deprived or in destitute states ever since they arrived. This scandal illustrated the government’s failure to protect its black citizens. It showed that even if you break your back propping up institutions such as the NHS, as long as you do so whilst black, you are still not properly welcome. Such law-abiding UK citizens have trusted the government with their lives, liberties and properties, but in return our money has been squandered, our media has been dictated by right-wing agendas, our homes have become death traps, our healthcare workers are in dire straits – and those born a darker hue are still feeling the effects of our brutal colonial past. The social contract in the UK is broken. In some places it may take generations to mend the distrust. In the coming months, I am hoping to investigate the many ways our government makes life difficult for law-abiding citizens. Given the amateurish-ways in which Brexit is being handled, another premature election could be on the horizon. If you find yourself in a polling booth any time soon, ask yourself this: will the party you are voting uphold their end of the social contract? If you already know that the answer is no, we need to start demanding a new kind of government. Jacqueline Courtenay is a London-based writer. Follow her on Twitter.